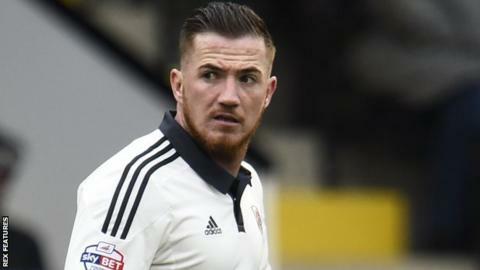 Ross McCormack scored his 19th goal of the season as Fulham earned a point against Reading. The result means Fulham move up a place to 19th after Bristol City's defeat by Cardiff, but now lie just five points off the relegation places after Rotherham beat Sheffield Wednesday. Meanwhile, Reading move up a place to 11th and are unbeaten in their last six matches in all competitions. Robson-Kanu made sure he notched three goals in as many matches thanks to his first-half double, but was replaced by Garath McCleary at the break after picking up a knock in the first half. Reading tried to force a winner towards the end but despite efforts from Stephen Quinn, John, McCleary, Cooper and Yann Kermorgant, there was to be no repeat of their heroics which earned them a last-minute win in their 4-3 victory against Charlton last week. Reading manager Brian McDermott: "We were unfortunate not to go 3-1 up against Fulham and, had we done that, it was game over. They were hanging in there. "We were trying to win the game late on but we take the point, we go up the table one more place, we're unbeaten again and that's about the gist of it." Fulham boss Slavisa Jokanovic: "We opened the game very well but, after they scored their goals, we showed some character to come back to score the equaliser. "We are suffering in this competition by making mistakes. We need to be more solid and Reading pushed us hard during the last 15 minutes. "When we created half-chances, we weren't clinical enough in the moment. But if we can't get three points, it's better to get one." Match ends, Reading 2, Fulham 2. Second Half ends, Reading 2, Fulham 2. Attempt saved. Yann Kermorgant (Reading) header from the centre of the box is saved in the bottom right corner. Assisted by Ola John. Attempt missed. Alexander Kacaniklic (Fulham) left footed shot from outside the box misses to the right. Assisted by Moussa Dembele. Jazz Richards (Fulham) is shown the yellow card. Hand ball by Jazz Richards (Fulham). Attempt saved. Ola John (Reading) right footed shot from a difficult angle on the left is saved in the bottom left corner. Assisted by Jordan Obita. Attempt saved. Deniss Rakels (Reading) header from the centre of the box is saved in the top right corner. Assisted by Oliver Norwood with a cross. Attempt missed. Ross McCormack (Fulham) left footed shot from outside the box is close, but misses to the right. Assisted by Moussa Dembele. Attempt missed. Oliver Norwood (Reading) right footed shot from outside the box is too high. Assisted by Michael Hector. Substitution, Fulham. Scott Parker replaces Tom Cairney. Corner, Reading. Conceded by Luke Garbutt. Attempt missed. Yann Kermorgant (Reading) right footed shot from outside the box is too high. Substitution, Fulham. Alexander Kacaniklic replaces Ryan Fredericks. Attempt missed. Jake Cooper (Reading) header from the centre of the box misses to the right. Assisted by Ola John with a cross following a set piece situation. Michael Hector (Reading) wins a free kick in the attacking half. Attempt missed. Garath McCleary (Reading) left footed shot from outside the box misses to the left. Assisted by Yann Kermorgant. Attempt saved. Ola John (Reading) right footed shot from outside the box is saved in the centre of the goal. Assisted by Oliver Norwood. Attempt missed. Yann Kermorgant (Reading) header from the centre of the box is close, but misses to the right. Assisted by Garath McCleary with a cross. Substitution, Fulham. Ryan Tunnicliffe replaces Jamie O'Hara. Offside, Fulham. Jazz Richards tries a through ball, but Moussa Dembele is caught offside. Ross McCormack (Fulham) wins a free kick in the defensive half. Foul by Chris Baird (Fulham). Corner, Fulham. Conceded by Chris Gunter. Substitution, Reading. Deniss Rakels replaces Stephen Quinn. Attempt missed. Ola John (Reading) header from the centre of the box is too high. Assisted by Oliver Norwood with a cross following a corner. Corner, Reading. Conceded by Michael Madl. Attempt blocked. Stephen Quinn (Reading) left footed shot from the left side of the box is blocked. Assisted by Ola John. Offside, Reading. Jake Cooper tries a through ball, but Garath McCleary is caught offside. Yann Kermorgant (Reading) wins a free kick in the defensive half.